It looked like '04 brought about many changes to our farm/plans. 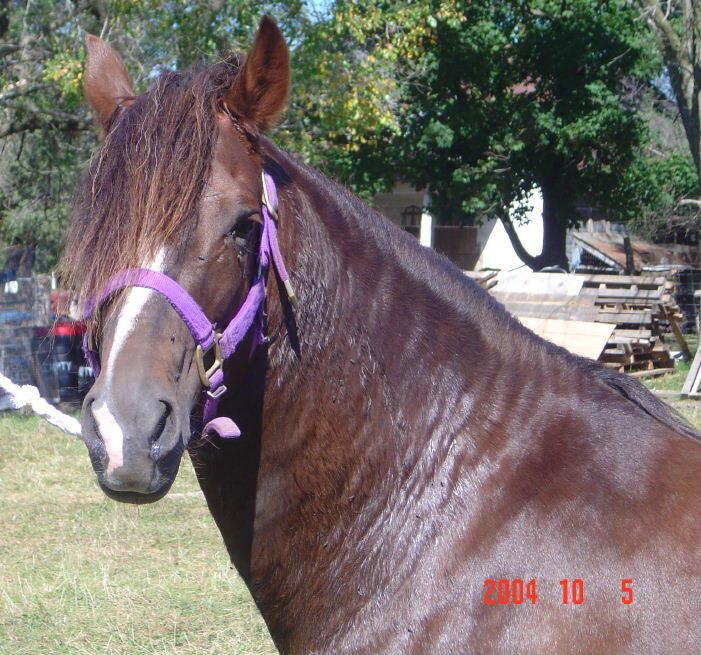 We also have over 30 yrs in MO foxtrot horses. With the passing of our old stallion in winter of '04, as well as the purchase of a gaited, well broke mare for my son, we had started a different adventure. 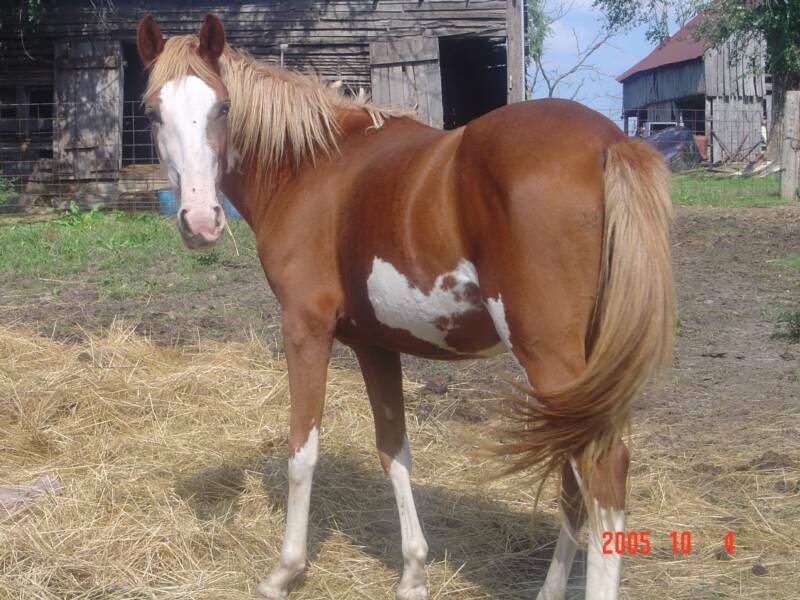 The great mare we found for our son, was a 3/4's registered part bred Peruvian Paso mare. Imp.read below * Shortly after Bob acquired a purebred reg. Peruvian mare, then we added a stallion to the mix. He is the son of CH's. 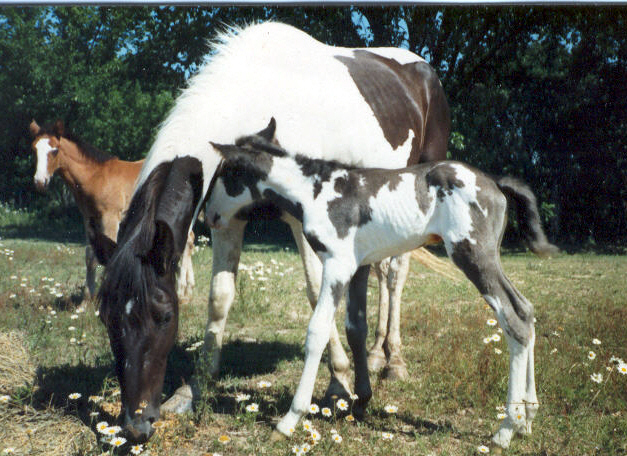 and should make outstanding, natural gaited babies. introducing CJC SOBRESALIENTE dark liver chestnut. 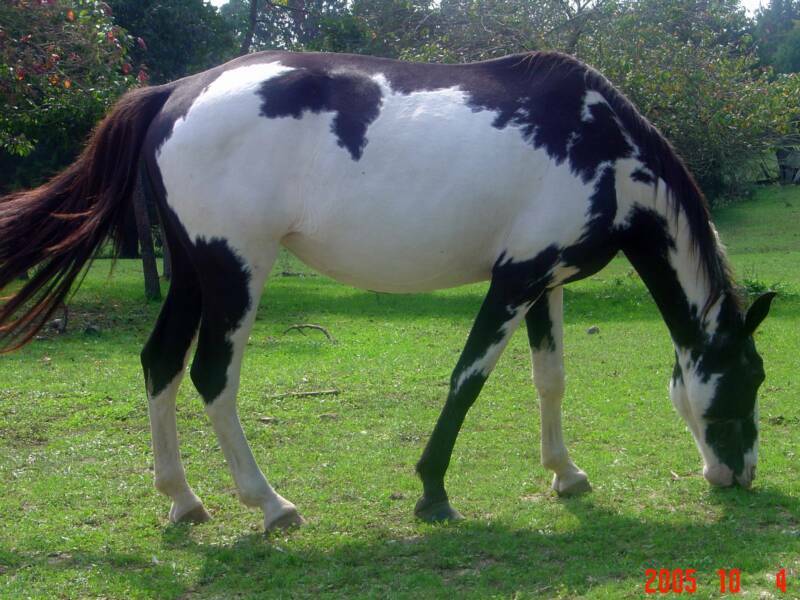 Sire: El Producto RR dam: Lucera Linda ss: *Real sd: Bonita Nina R. (Regional+, Sol De Oro V) Our mare boast an equal pedigree, PERLA PRECIOSA RR Sire:Travezio RR Dam: Reina De Cerrazion ss:Oro Blanco ds:Cerrazon *(3/14/05 unfortunately, PERLA PRECIOSA RR will not be used for breeding, within less then 6 months of owning this mare, she had been diagnosed with DSLD/ESPA. for more info, please go to http://www.dsld.org site, there you will find a lot of good info on this terrible disorder, which is not curable. 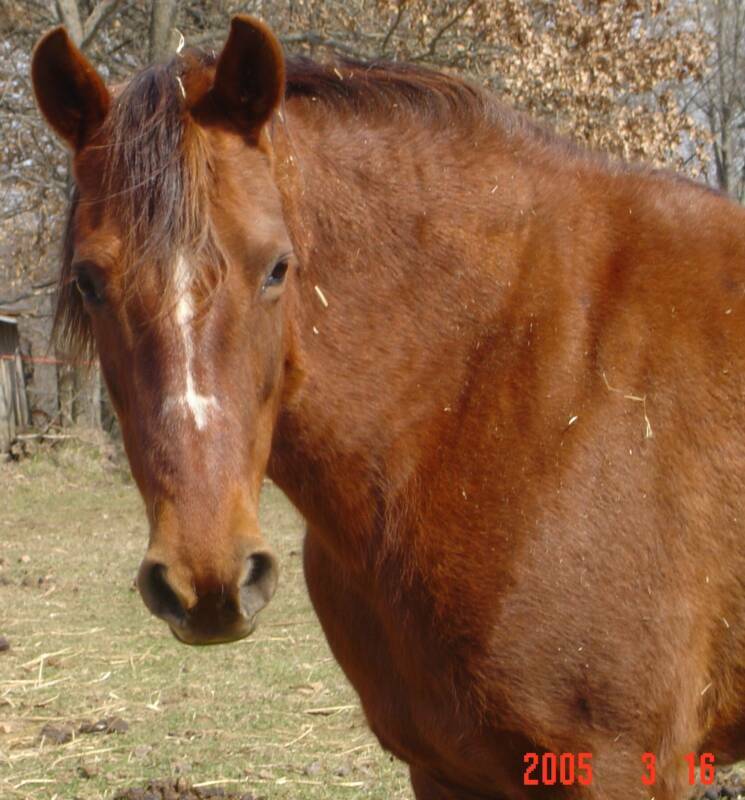 Perla is only 15 yrs old, and can not be ridden, nor bred. we are watching the *stallion, who has a check ligament *injury*, he will not be used for breeding, until we know more about this, if he ever can, this is a serious disease/disorder, and it is worth checking it out )* more info below on our horses, with pictures. However you look at it, we won't be buying anymore Peruvians! We're not out of the MFTH/NSSH. 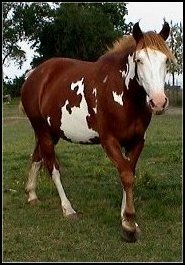 We used an older stallion for our '06 babies, CODY E clean legged and sound, mainly foundation/saddle horse lines, with only a bit of TW horse, a son of Zane's Lad, by Zane Grey, but has Golden Governor 2 X's on his papers, Betty Fox is there, Bald Hornet, by Hawkeye, out of Maid-O-Gold & West Saddle Mare. 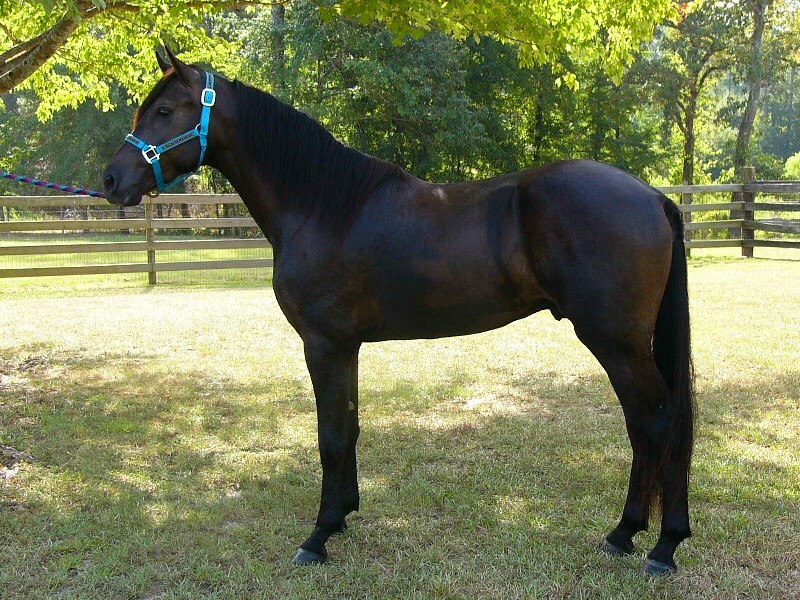 We now have a new smoky black FT stallion; Night In New Orleans, or Leroy conformation, pretty head, style and temperament! all in 1 package. Our mares are sired by: Revelation's Night Train,Sensational Zane's Boogy, Thunder's Surprise, Yankee's Flash Dancer, Lo-Land's Comanche, Kaluha Bay. A lot of big, old names, on their pedigrees. 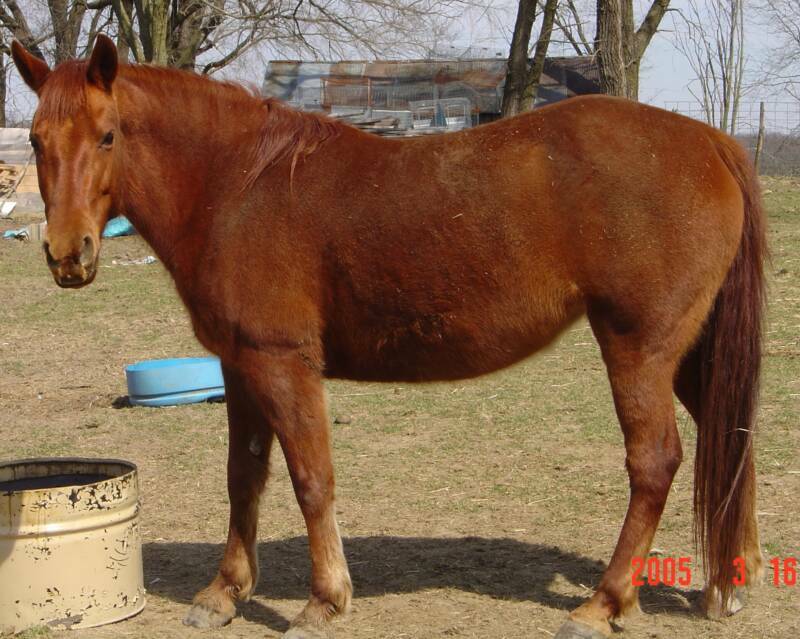 Jubilee (baby) is now a broodmare here. PERLA PRECIOSA RR *PPHRNA # 10821 AAOBPPH # M9910816 s:TRAVEZIO RR out of d:REINA DE CERRAZON 3/14/05 ultrasound showed DSLD. she has good and bad days. we were advised to not ride her. she will NOT be bred!! Here are some of our Missouri Foxtrotting horses. we also have color in our breeding. 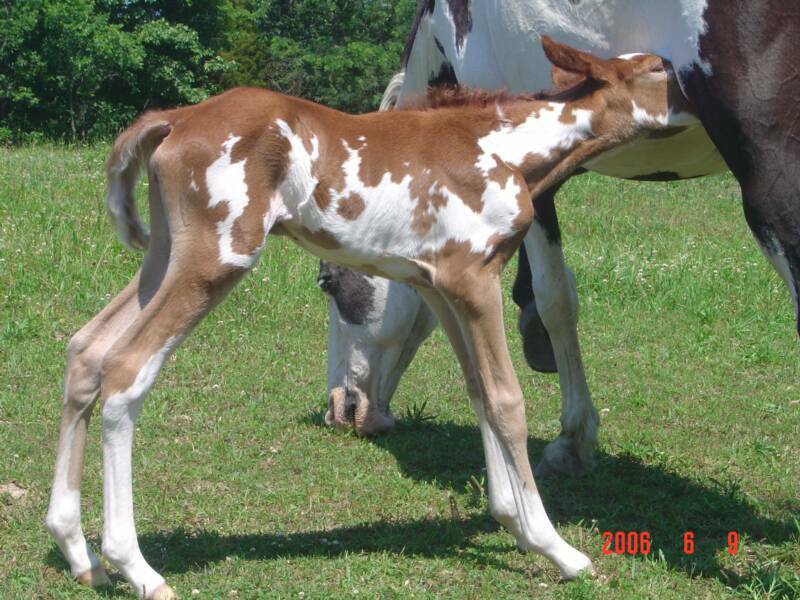 We have tobiano & overo pinto colors. we have the frame, sabino & splash gene in some of our horses. we also have smokey black (cream) gene, another lovely color. We like a good looking, flashy horse, along with soundness. Cat, MFT mare, she is a fun ride! Perla's leg. rt fr. 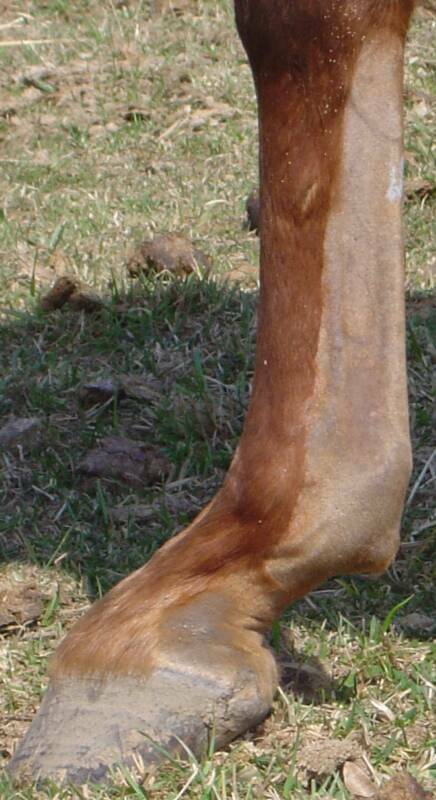 you can see enlarged suspensory lig. heel underrun, hard to trim her, when she can fall on you. 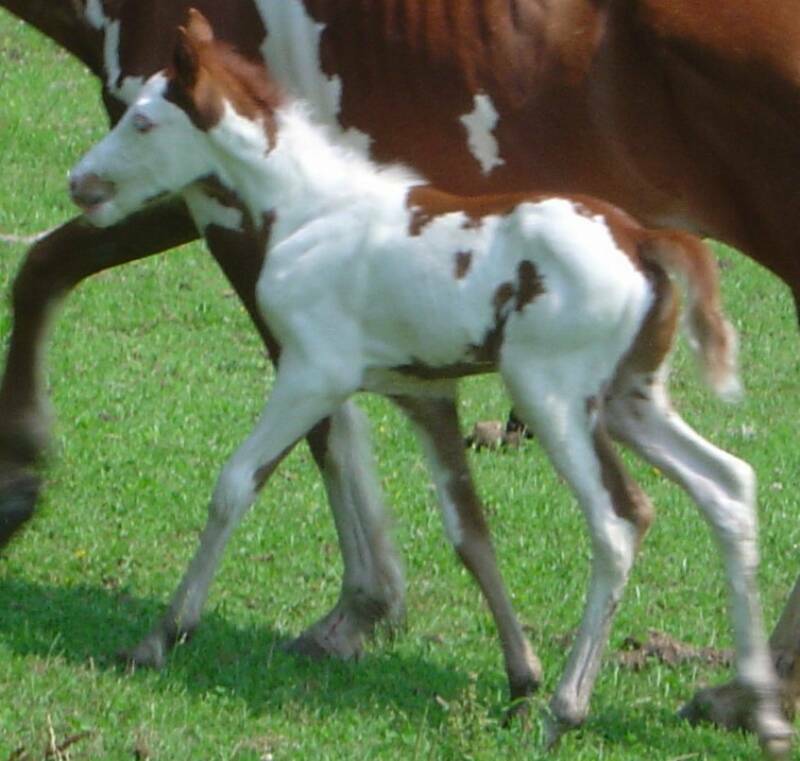 Another spotted filly. Novelty's Scarlet Lady. with her champagne dam, Revelation's Mocha Supreme. Jubilee, the black and white frame w/sabino FT mare, all grown up. This is Scarlet now. turning into a lovely young Lady, with plenty of color. Night In New Orleans, Leroy. pic taken at 2 yrs of age. smoky black stallion. 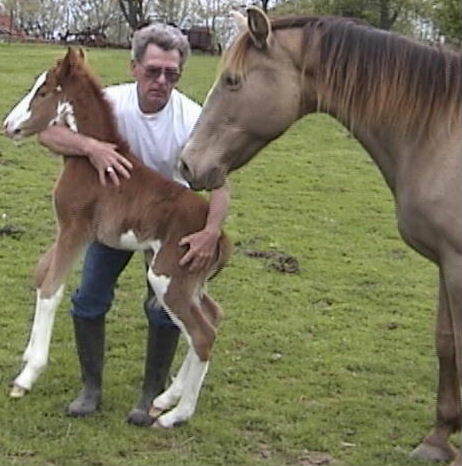 Jubilee's '06 filly! another frame, possible sabino baby. Cody E was her sire. Maybe I'll (T) be riding this one as my personal horse. Cat, sunbathing. there is a story about her call name. I told Bob I wanted a Cat. he told me I had one, a big red one in the back field...so, the horse with no name, became the CAT. The young ones, tearing around the front field.